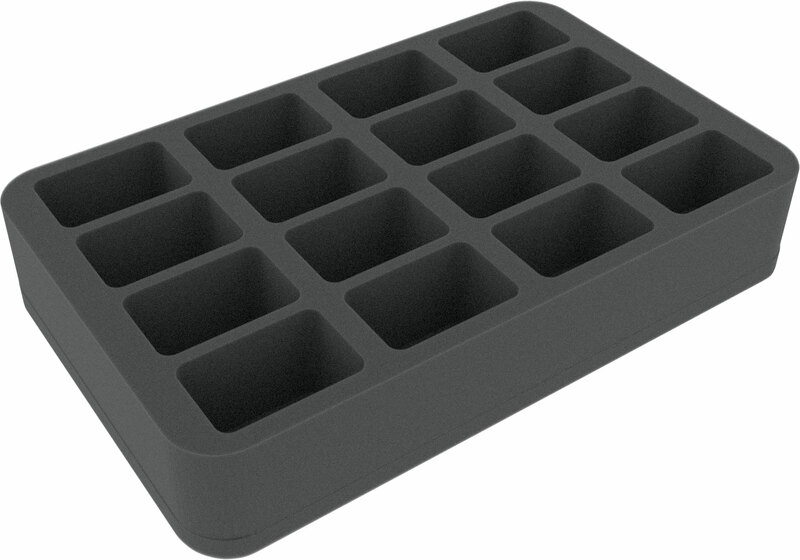 This Half-Size foam tray is divided into 16 compartments. 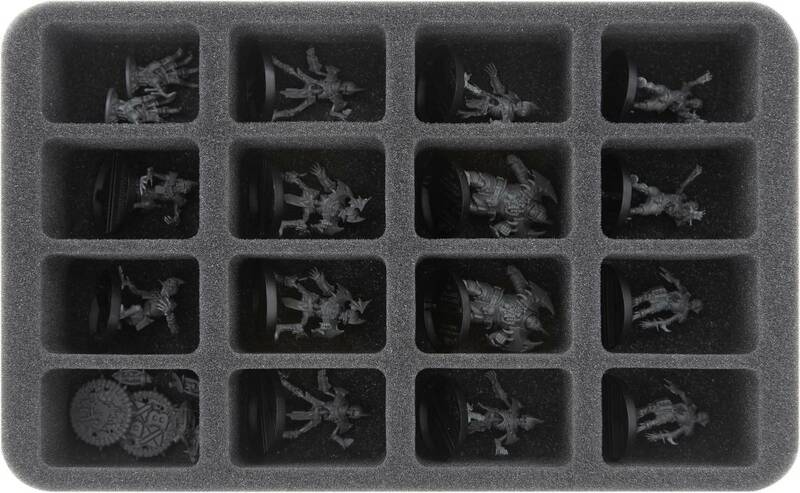 It keeps the fine detailed models of your 'Shambling Undead' Blood Bowl team safe. Sensitive details of the figures are protected from damage and the colors of painted miniatures are preserved. Beside the 14 players there is still room for the accessories. 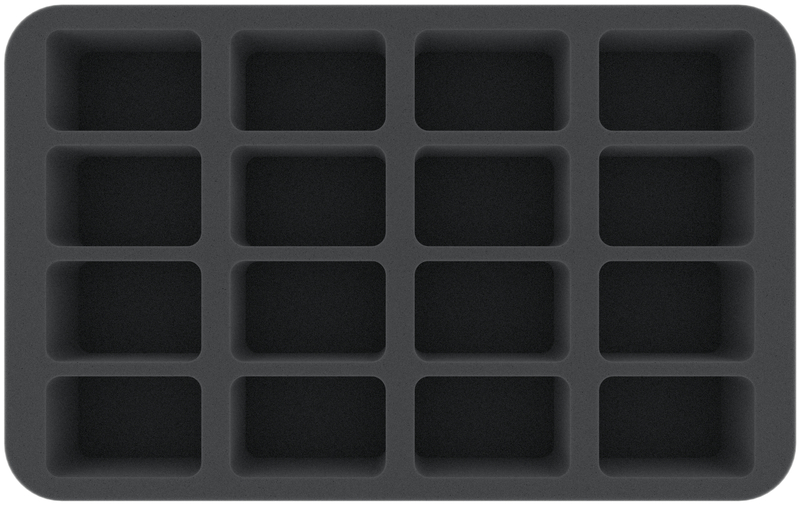 Each of the 16 compartments is 54 mm long x 35 mm wide x 40 mm deep.